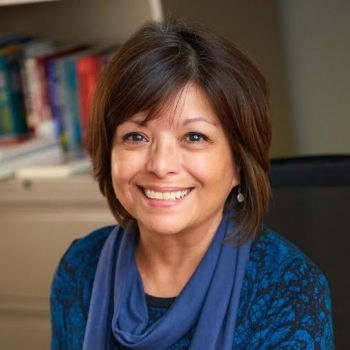 Dr. Adele Lozano is an Assistant Professor in Student Affairs Administration at the University of Wisconsin – La Crosse. Her scholarship centers on the experiences of Latinx students at historically White institutions in the Midwest, with a focus on identity development, leadership development, and the role of cultural centers in Latinx student success. Adele’s experience as a Chicana first-generation college student at a large public university shaped her interest in how Latinx students resist traditional expectations of assimilation in college, while finding culturally sustainable ways to develop as leaders. Her book, Latina/o College Student Leadership: Emerging Theory, Promising Practice, was published in 2015. Her work has also been published in Journal of Latinos and Education, About Campus, New Directions for Student Services, the NASPA Journal, and Future Review, as well as a chapter in Patton’s (2010) book, Cultural Centers in Higher Education. Additionally, Adele serves on the editorial board of JCSCORE, the Journal Committed to Social Change on Race and Ethnicity.